"there are few things more interesting to study than a good map"
Technically called a bathymetric chart, it is the watery equivalent to a topographic map. 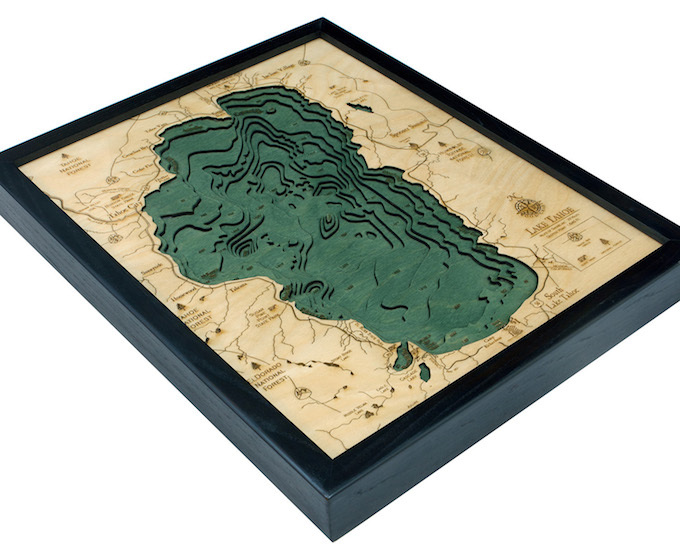 The maps are made from sheets of Baltic birch, layered and laser cut to visually reveal the charted depths of the enchanting underwater landscape. 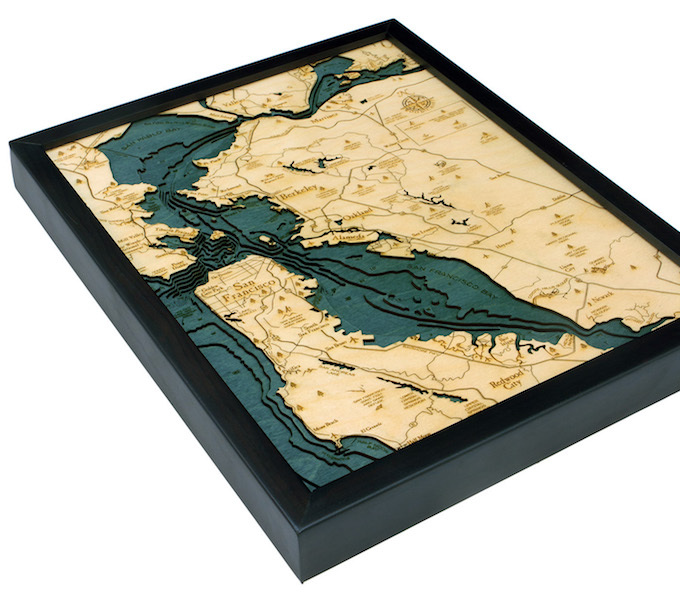 Hand colored to distinguish water from land, the finished results are mesmerizing. 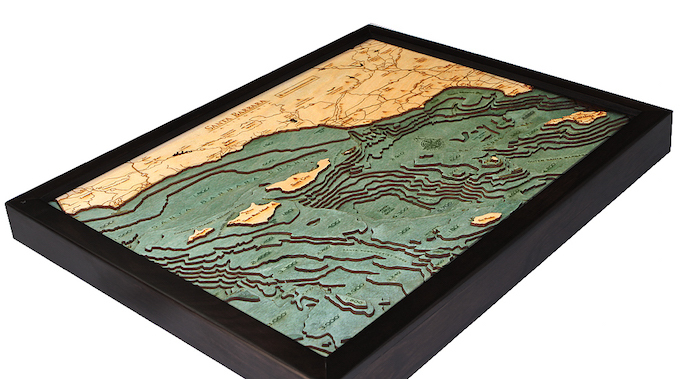 The viewer is finally able to experience the contours, depths and underwater terrain that are otherwise hidden from sight. 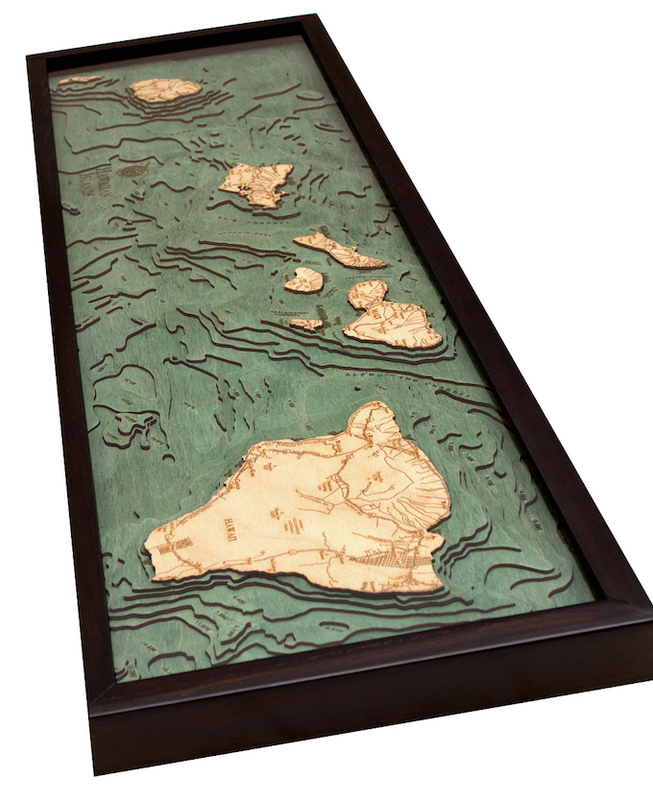 From the rugged waters of the West Coast to as far away as Antigua, there are almost 50 wood charts currently available (with new ones being added regularly) Featuring more than lakes, islands, sounds and shorelines, we are certain there will be a map that will remind you of a favorite vacation spot, local waters or points of interest. 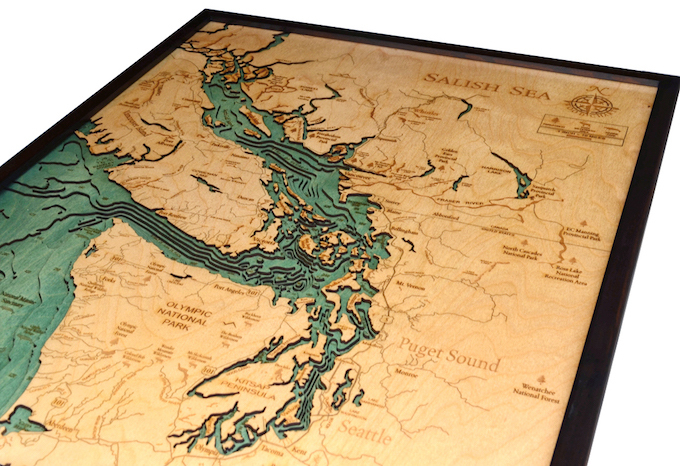 All charts are finished in solid wood frames and ready to hang. 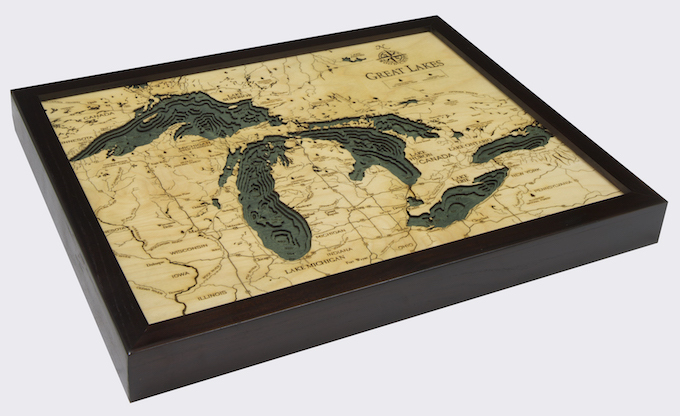 The perfect addition for any room in your home, cabin, office, lake or beach house, these maps are sure to delight everyone that sees them. 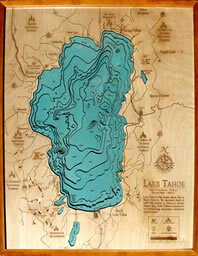 Cabin Fever keeps a large selection of maps in stock or they can be ordered by phone and shipped. 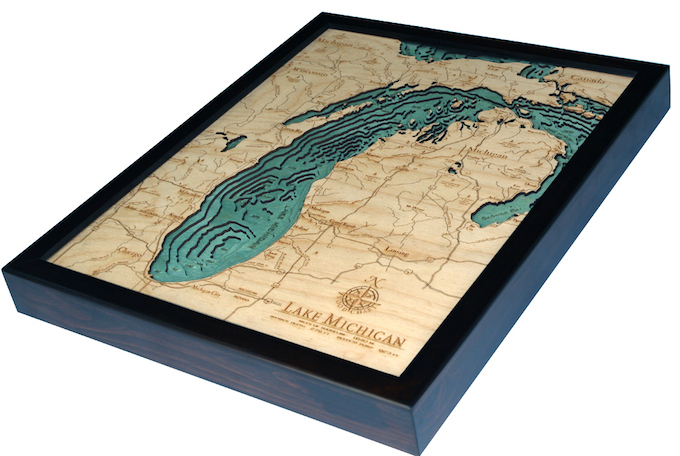 Maps are available in small or large and range in price from $148.00 to $298.00. We are open from 10-5 daily. Please call 530-583-8143.